It was nice night on the town with him anyway and after dinner we took a cruise in the Jeep with the roof off. A nice way to end the night. I found a pattern for a tea cosy, but I didn't find a felted one that I was too crazy on so I took the pattern that I liked and jumped up to a 6mm needle and knit it up. It looks great and fits my large teapot awesome, but I'm going to felt it down for a much smaller teapot. I can't wait, I just love felting! It would be done by now but it has been insanely hot in Southern Ontario and I haven't really been feeling like too much of anything. It's actually be sitting on my teapot since Sunday night. I decided to use ribbon instead of doing an i-cord or something, I'll cut the ribbon to the right size when it's all finished, but I like the look of the ribbon, it contrasts nicely with the sage green colour. The nice weather has finally come back again, too bad the long weekend is over! I hope everyone had a good weekend despite the miserable weather. It was so cold and wet here in Ontario, maybe it was a good thing that I had to work the whole weekend. Sunday it rained for the majority of the day and it happened to be our big family day we had all planned. We went out to Pizza Hut for a nice dinner together then to the firework display in Dundas, ON. 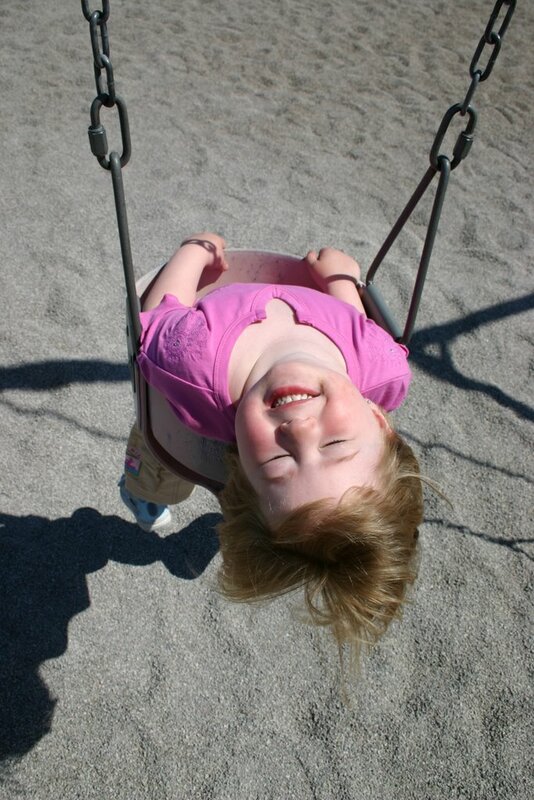 Paisley was so excited about this day, especially the fireworks because it was going to be her first time seeing them. The pan pizza was as good as always and after our meal we headed to Dundas for the fireworks. The streets seemed a little quite, but we kept driving down to find a place to park and then started to walk up to the place where they were holding the festivities. We started to get curious as to whether or not they were cancelled when people started walking back towards their cars with all their gear. A nice family stopped us and told us that nothing was going on or set up so it was probably cancelled. Ouch!!! How do you tell your excited 2 year old that the fireworks are cancelled? We ended up just taking her home and then we went for a walk and saw some backyard fireworks. She was a little disappointed but happy that she got to try out her new Dora flashlight that I got her at work earlier that day. Ron and I were both hoping for a better day on Monday because they were rescheduling them for that night. Although Monday did not look too promising for most of the day, it didn't rain and it cleared up and got sunny right after dinner. We drove back down to Dundas to find everything was on for the fireworks found a spot at the park to put our blanket out and we waited. Paisley was scared and loved the display all at the same time, she said it was a little noisy but she'd like to see them again. I've only been to Dundas once before to see the fireworks, but they were just as amazing as the first time I saw them there. I've never been a big fan of fireworks, but for some reason Dundas puts on a wicked show!!! I also finished and mailed my postcard for Project Spectrum. I just don't want to post of a picture of it yet because I don't want to ruin the fun for my postcard pal who won't receive it for a little while yet. 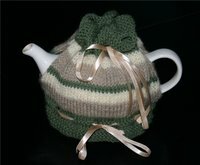 Does anyone know a good pattern for a felted Tea Cozy? I've done some searching online but I was unable to find one that I liked. It's going to be a gift for someone who is very good to us and especially Paisley. Well, that's about all I can cram into one post for today! So, I'm going to investigate my darling daughter for more signs of chicken pox, yes...chicken pox, I'm pretty sure she's getting them because new dots keep appearing and all the kids in the neighbourhood have either had them or have them now. 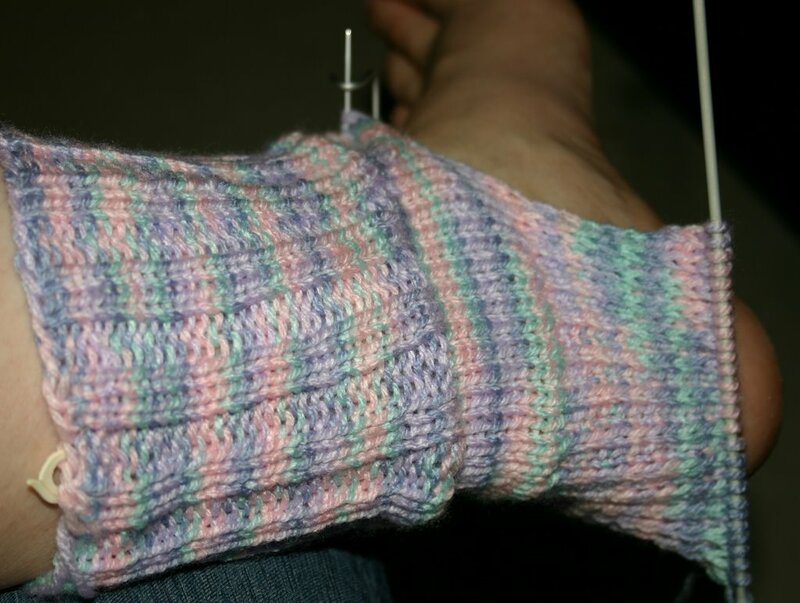 As for knitting, I completed only one of the Mother's Day socks. My mom did try them on when they were down on Sunday and thought they were really cute. Thank goodness, she is a very patient lady and is happy waiting until I get the last sock done. 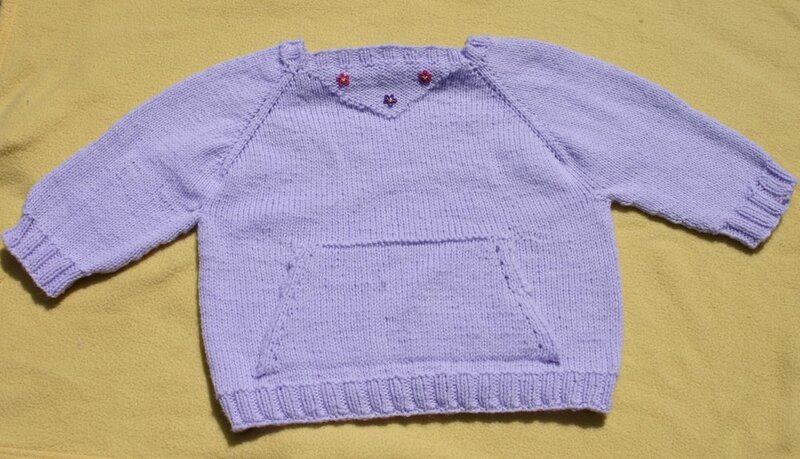 I also casted on for my sweater on Sunday night after Paisley went to bed. I have a few inches done on the back now and it's coming along. It's going to be knit with the Paton's Decor that I got for my birthday from my MIL Rhonda. It's 75% acrylic 25% wool, and is very nice blend to knit with compared to some of the stuff I've been using lately. It has a really nice feel to it with that 25% wool. I'm happy so far. What else have I been up do? To substitute for my lack of photos, I had to sneak a picture of Paisley in. Now at least there's a little colour. Not too much knitting is happening in my neck of the woods lately. I just seem to be consumed with housework, Paisley and work so far this week. My shifts have picked up a little for now, so we'll see how long it lasts. Ron also taught me how to do Sudoku on Monday, so I've been trying to do them. I did one puzzle completely on my own with no help and now I'm stuck on the second one, I've erased it and started it twice now and I still can't finish it. They can be so hard, especially since I'm not very fast at it yet and I'm not familiar with all the tricks of the trade. I can see how they can be very addictive though. I had a lot of fun doing the first one and it only took me about an hour. That could have been an hour of knitting time though.....oh oh! Cynthia announced the winners from the Warming Grace draw and it turns out I'm a winner. Woot, woot! I rarely win anything, so this is extremely cool. It's sign to keep knitting and more good things will come out of it! 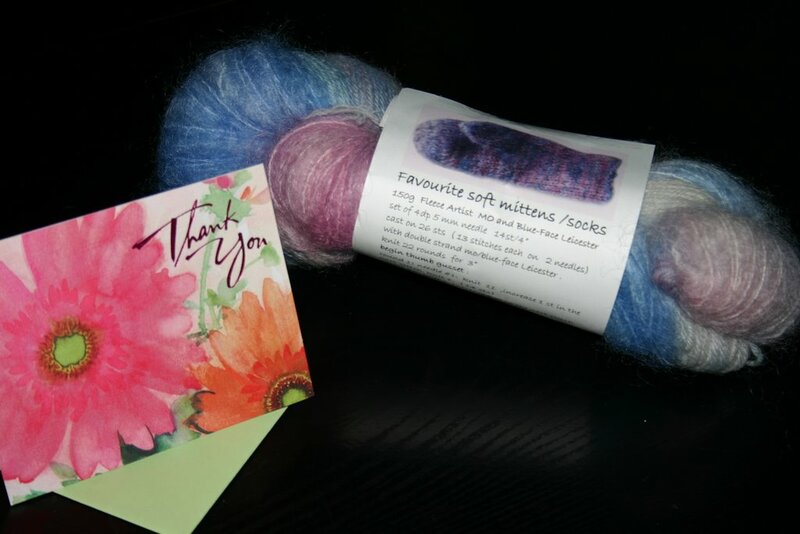 I won a skein of Fleece Artist Favourite Soft Mittens. How appropriate since I'm absolutely smitten4mittens, hehe. Cynthia actually emailed me to tell me how bizarre it was that I won that particular prize. Well, I've got to go fold some laundry (I know what you're thinking, how lucky of a girl I am to have to fold laundry on this nice beautiful day) and I have to give the house a quick tidy before I go to work tonight. Have a super, fabulous day! My house is clean, laundry's done, put away and Paisley's sleeping. Now the night is my oyster, at least for the next 2 hours before I go to bed. It's just been one of those days and I'm pooped right out. Paisley was a busy girl and had a day full of playing with her friends and alot of that time included me being there to monitor. They actually came over later in the afternoon and played at my house for a few hours which was easier then playing out front. It was really my first experience with P having friends over and it didn't go too badly. My friend Mandy who was a nanny for quite a few years told me that kids entertain one another and man she was right, P hardly bothered with me at all (minus the few times I had to intervene over a toy fight). I'm so used to Paisley wanting me to play all the time and having a hard time trying to complete all my housework. I actually got a head start on finishing my laundry and just some "me" time on the computer which is right beside the livingroom where they were playing. They even cleaned up all the toys when they decided that they wanted to go out back to play in the sandbox. My MIL Rhonda popped by unexpectedly tonight and brought me a nice surprise! 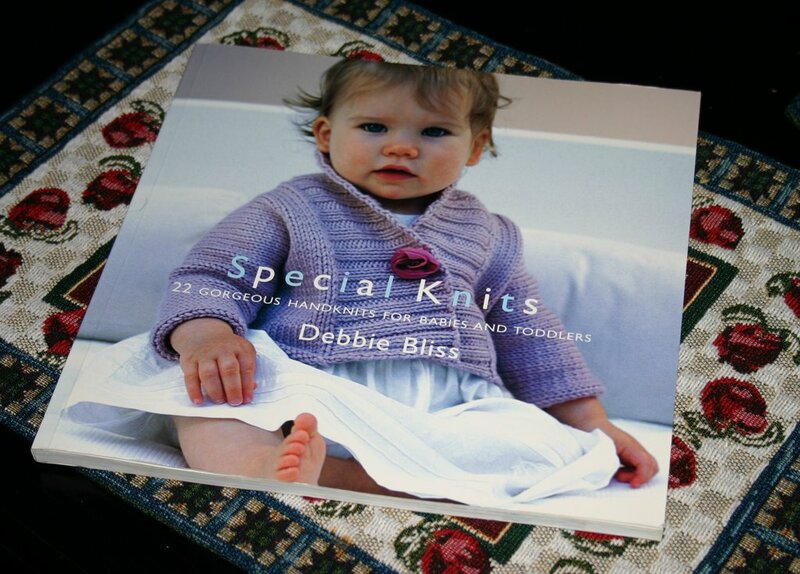 "Special Knits" by Debbie Bliss. I've been in love with that book ever since I borrowed it from the library. I even renewed it 1 time just to keep it a bit longer. Now I have it all to myself! She also got herself a copy in hardcover. As well as the book there was also a bunch of extra circular needles. 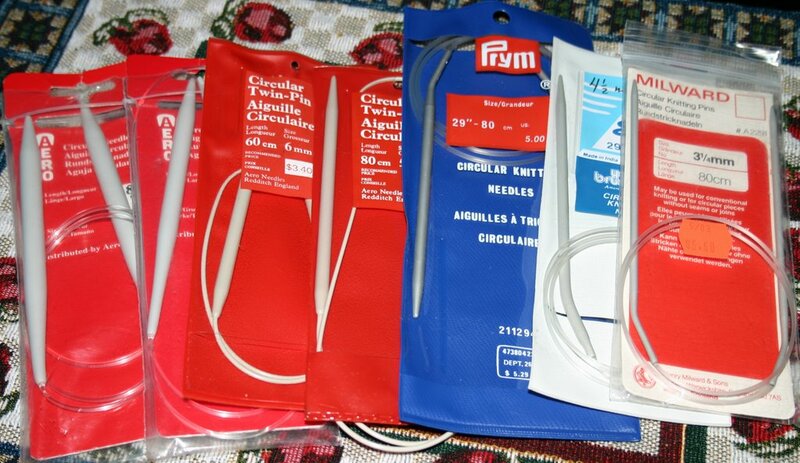 Some I have and some I don't but a girl can never have enough knitting needles. She just replaced most of her circs with the bamboo ones and then ofcouse she has all of her Addi Turbos. I haven't done too much knitting this week. I casted on for a pair of socks last night just to relieve myself from knitting bug. 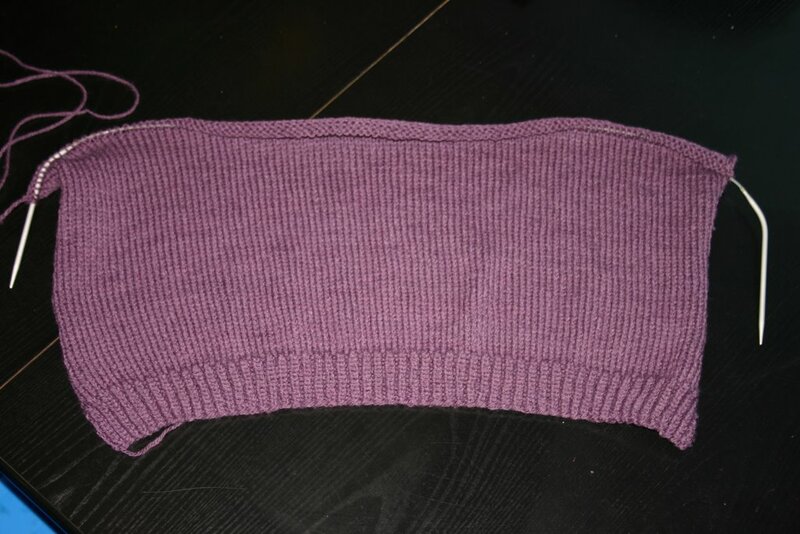 I just didn't feel like getting too involved with a huge project just yet because I went a little overboard last week with the little sweater. I saw this on Samantha's blog today, thought it was fun and gave it a try. I answered the questions truthfully as humanly possible and below was my result. One of my very favourite flowers too, go figure! I hope everyone had a great weekend. The weather was nice and sunny here in Hamilton, but a little on the chilly side. Paisley had a blast at the party! It's only the 3rd birthday party that she's ever been too. Amanda, my neighbour had a bunch of crafty stuff organized for the kids. I designed and cut little crowns out of bristol board for her as she was busy running around like a chicken with her head cut off getting ready for the party. She had glitter glue, ribbon, little tiny fabric butterflies and flowers, stickers and the funky fabric scissors that make the neat edges (sorry can't think of the actually name of that type of scissor). Instead of cake she made giant cupcakes and the kids each got to decorate their own. Every kind of sprinkle under the sun was in bowls at the table, it was messy but fun for the kiddies! Well, I'm going to jet and take little miss ants in her pants outside, she's going insane here beside me right now and needs to burn off this penned up energy.